Joyce L. Hopkins Brown, age 86, of Salem, went on to her eternal rest on Thursday, March 15 in Louisville, Kentucky. Joyce was born July 25, 1931 in Detroit, Michigan the daughter of Arthur and Dorothy Gresham Long. She was a retired employee of the Security Department at Wishard Memorial Hospital in Indianapolis. She was a member of the First Christian Church in Salem. 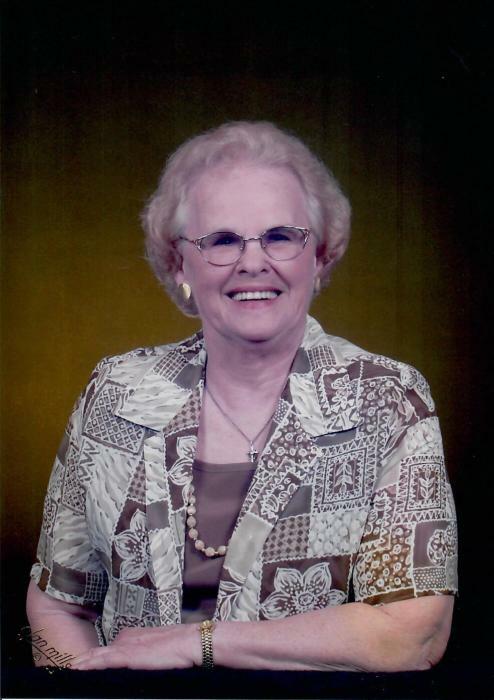 Joyce was active in the church, including being Circle President, Executive President of Disciples of Women, as a Deacon, Chairman of Membership and Worship Departments and also serving on the Evangelism Department. She was an avid volunteer for St. Vincent Hospital in Salem. She is survived by her son: Stephen Hopkins (Cheryl) of New Albany, her daughter: Brenda Deich (David) of Jeffersonville, and one grandchild. She was preceded in death by a daughter: Debra Miller, a brother: Arthur Long, a grandson: Kirk Alan Miller, Jr. and her parents. Memorial services will be held Tuesday, March 20 at 11AM at First Christian Church in Salem. Memorial donations may be made to: Salem First Christian Church, 305 E. Walnut St. Salem, IN 47167 or Hosparus Health, 3532 Ephraim McDowell Drive, Louisville, KY 40205.